Human-Computer interaction or HCI, has long been a fascination. I guess it first started with virtual reality, where total immersion into a digital world could be possible. Suddenly scenes from the lawnmower man immediately come to mind (https://www.youtube.com/watch?v=doAnB5_eDnw). Whilst we are are still a long way from this sort of technology, there have been some amazing leap forwards in HCI research. Wow! using fog, really? I was simply gobsmacked when I first came across this technology. FogScreen is the brainchild of a company in Helsinki, Finland. The device uses an array of tiny nozzles to deliver rows of near-microscopic drops of water, forming a thick fog upon which a project can shine a suprisingly clear image. that means no dorky glasses are required! Couple this display with a kinect style device and you have an interactive interface which looks very cool. In a recent article posted on the BBC website, Scientists have found that some subatomic particles have appeared to exceed the speed of light. This find once fully explored and fully documented could have significant impacts on our current understanding of physics. He has managed to build cell-like bubbles from giant metal-containing molecules and has given them some life-like properties. He now hopes to induce them to evolve into fully inorganic self-replicating entities. “I am 100 per cent positive that we can get evolution to work outside organic biology,” says Lee Cronin at the University of Glasgow. His building blocks are large “polyoxometalates” made of a range of metal atoms – most recently tungsten – linked to oxygen and phosphorus. By simply mixing them in solution, he can get them to self-assemble into cell-like spheres. This research certainly pushes our understanding of life into fascinating areas, whilst also raising some interesting debate. I personally am fascinated by the prospect and possible application of this technology in the realm of robotics. Have you ever considered the manner in which your body is disposed of when you die? Often I have pondered my existence on this comparatively tiny blue planet of ours, but never have I really considered this. Until recently I thought that there were really only two options, burial and cremation, but prompted by a recent article by Neil Bowdler on the BBC News website, I started to research the subject in more depth, and now I realise that body disposal has become quite creative. Submerging the body in a solution of water and potassium hydroxide which is pressurised to 10 atmospheres and heated to 180C for between two-and-a-half and three hours. Body tissue is dissolved and the liquid poured into the municipal water system. Mr Sullivan, a biochemist by training, says tests have proven the effluent is sterile and contains no DNA, and poses no environmental risk. Whilst it may seem macarbe, this technique is far more environmentally friendly that tradition cremation techniques. For example, through the use of cremation, a single person can contribute over 200kg of air emissions. 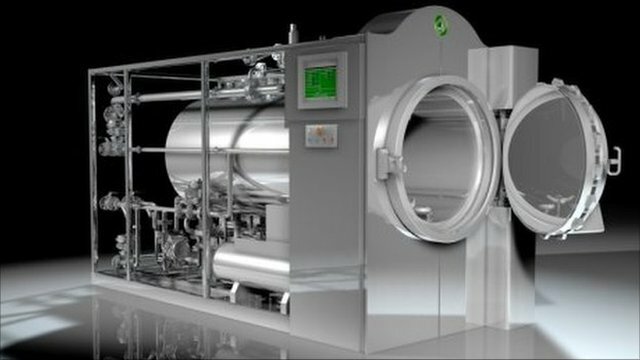 Fig 1 the “alkaline hydrolysis” unit installed at a Florida funeral home. In contrast to this method, Neil also discusses an alternate approach titled ‘Promession’. Promession is the brain child of a Swedish biologist named Susanne Wiigh-Masak, and is likened to a method of composting. The process involves a fully automated and patented machine. Coffins are fed in one end, and the body removed from the coffin within the unit and then treated with liquid nitrogen. The body is then vibrated until the body fragments, after which the remains are dried and refined further, and then passed through filters to remove metals, including dental amalgam. The remains are then poured into a square biodegradable coffin, again automatically, for shallow burial. The combination of the tiny body fragments and the square biodegradable coffin, results in a smaller burial plot and hastens the decomposition process. Whilst I like the sound of my body getting so jiggy with it, that it breaks into thousands of pieces allowing for bite sized morsels for all sorts of soil bacteria and underground creatures, it is nowhere near as cool as the mushroom death suit! The mushroom death suit is the work of an artist by the name of Jae Rhim Lee. Basicallly, it is a body suit embroidered with thread infused with mushroom spores. The design of which is inspired by the dendritic growth of mushroom mycelium. Is accompanied by an Alternative Embalming Fluid, a liquid spore slurry, and Decompiculture Makeup, a two-part makeup consisting of a mixture of dry mineral makeup and dried mushroom spores and a separate liquid culture medium. Combining the two parts and applying them to the body activates the mushroom spores to develop and grow. The project is currently growing and training various mushroom cultivars in the hope of producing what she refers to as the ‘infinity mushroom’. Jae Rhim Lee is training fungi to consume her own body tissue and excretions–skin, hair, nails, blood, bone, fat, tears, urine, feces, and sweat. The fungi have been chosen for their potential to utilize the nutrients in human tissue and to remediate industrial toxins in soil. How do you plan to go in the end? Human skin which is nearly bulletproof? After spending a weekend watching the Hulk, the news of human skin which is nearly bulletproof was simply too intriguing to pass up. Apparently, Researchers from the 2.6g 329m/s project (the maximum weight and velocity of a .22 calibre Long Rifle bullet from which a Type 1 bulletproof vest should protect you) have been working on combining the mechanical strengths of spidersilk thread and the frailties of human skin. Although the newly produced material could only prevent a partially slowed bullet, it did prove to be a success. Parrallel to this project, there has been great advances in the field of reconstructive plastic surgery. A tissue engineer by the name of Hanna Wendt, and her colleagues in the Department of Plastic, Hand and Reconstructive Surgery at Medical School Hannover in Germany, has recently published a study that suggests spider silk may hold the key to creating artificial skin for burn victims and other patients requiring skin grafts. “Spider silks display excellent mechanical features that even rival man-made, high-tech fibers,” the study explains. A matrix of spider silk is delicately woven onto a steel frame, resulting in a meshwork frame, upon which, given the right conditions of warm, nutrients and air, skin cells could flourish. Bot Planet Robot: Sir, are you aware that you’re leaking coolant at an alarming rate?